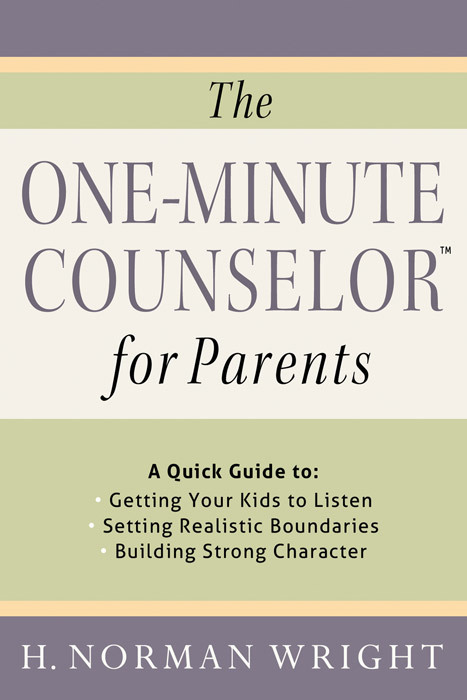 One Minute Counselor for Parents A Quick Guide to *Getting Your Kids to Listen *Setting Realistic Boundaries *Building Strong Character In this book H. Norman Wright gives concise-and-clear answers to your questions on parenthood. 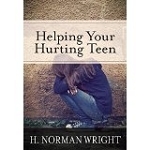 Drawing on his years as a professional counselor, as well as biblical wisdom and real-life understanding, Norm helps you with issues that range from “my toddler won’t go to sleep at night” to “my teenager refuses to do household chores.” You’ll discover practical suggestions and innovative ideas in an easy-to-read format: I really get frustrated talking with my children. They just won’t listen, and the more I tell them to listen, the less they do. Help! If you want to be heard by your children, try talking less. The greater the number of words that come out of your mouth, the more your children’s ears and mouths close. Here are three more suggestions… Offering plenty of encouragement and hope, The One-Minute Counselor for Parents is short enough to quickly glance through and detailed enough to refer back to when specific issues arise.